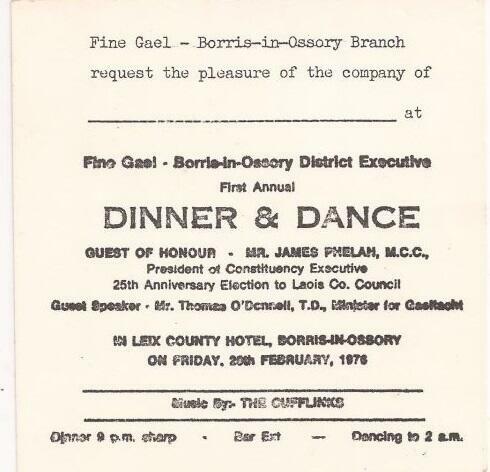 An Invitation to the 1976 Fine Gael Borris in Ossory ‘First Annual Dinner & Dance’ . The night featured music by ‘The Cufflinks’ and a Guest Speaker Tom O’Donnell TD. The guest of honour was Mr James Phelan.